Lois Mitchell is an accomplished businesswoman and a proud, longstanding member of Alberta’s dedicated corps of community volunteers. Lois Mitchell has shared her business acumen on the boards of USB Bank (Canada) and Mitacs, an organization that promotes scientific and business innovation among emerging leaders. 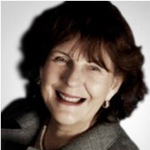 She is past Chair of the Calgary Chamber of Commerce and Vice-Chair of the Global Business Forum. Her commitment to regional and national endeavours includes a12-year tenure as Honourary Consul of Colombia for Alberta and Saskatchewan, contributions as a Governor of the Canadian Unity Council and duties as Co-Chair of the 2014 True Patriot Love dinner to support Canada’s men and women in uniform. Her interest in education led to volunteer service on the board of Canada World Youth and as Chair of the Advisory Board of the Latin American Research Centre at the University of Calgary. Her great love of music and the arts can be seen in past volunteer duties as Chair of the Calgary Philharmonic Orchestra, board member of the Alberta Foundation for the Arts, the National Youth Orchestra, the American Symphony Orchestra League Council and Co-Chair of Calgary 2012 as a Cultural Capital. Lois Mitchell became a Member of the Order of Canada 2012 and received the Queen Elizabeth II Diamond Jubilee Medal the same year. She was awarded the Alberta Centennial Medal in 2005 and was named Calgary Citizen of the Year for 2008. In 1998 she received the Calgary Women of Distinction Award in the category of Arts and Culture. Lois and Doug Mitchell maintain a home in Calgary where Doug serves as National Co-Chair with Borden Ladner Gervais LLP. Their family includes four children and spouses: Shelley (Mike Boehm), Steven (Barb), Scott (Annette) and Sue Ann, and seven grandchildren: Spencer, Shelby, Sasha, Shannon, Jake, Rhyan and Bo.